The President's Circle was established in 1996 and is comprised of some of our region's strongest educational advocates. Business and community leaders, alumni, friends and CSUSM employees are among those who make up this vital group of supporters. 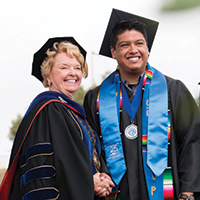 Gifts received through President's Circle enable the President to respond to the highest academic needs of the campus which further the mission of CSUSM. Scholarships are provided to those with high financial need that are in good academic standing, helping to ensure these students are able to complete their education. These funds support activities or projects that enhance student life on campus. 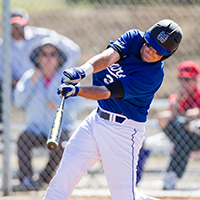 These activities or events benefit CSUSM students and allow them to participate in educational conferences. 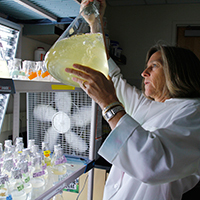 Grants are awarded to support professional activities related to teaching and learning, research and creative activities, and/or community or disciplinary service. CSUSM and its community partners collaborate to enhance the quality of life for all who work, live and study in our region. 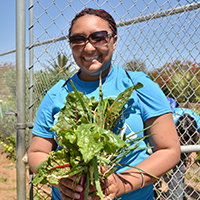 CSUSM is designated as a community-engaged campus by the Carnegie Foundation. To purchase with check simply print and mail this PDF form with your payment. Memberships can also be purchased with Employee Payroll Deduction. Questions? Call 760-750-4408 or email rarlene@csusm.edu.